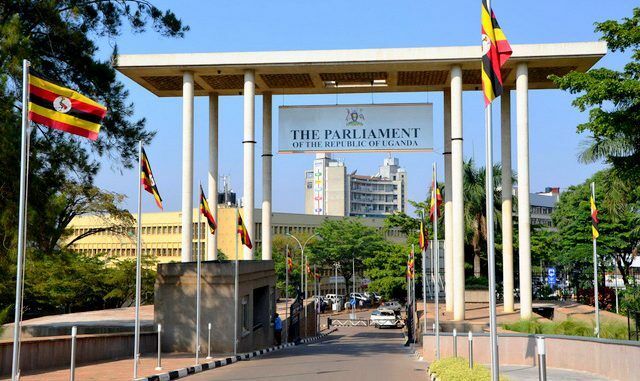 KAMPALA – The National Planning Authority (NPA) has asked Parliament to investigate the undeclared funds received by a number of Government agencies that are sent as donations, but the funds are not declared to the treasury. The call was made by the Executive Director of NPA Joseph Muvawala who was meeting with legislators on the parliamentary Finance Committee to defend the Authority’s 2019/2020 national budget framework paper. Muvawala told MPs that, whereas the donation funds received by many Government agencies is meant to be reflected in the National Development Plan and national budget for appropriation by Parliament as well as ensuring effective budgeting, there are a number of government entities that have left the treasury in the dark on these funds. Muvawala explained that any resource coming to the country is a national resource and the moment Parliament approves the national budget framework paper, all monies coming to the country must finance the NBFP. “There is what we call budget and there is that terminology off budget which never existed before. When you get money from European Union, they do an audit, but the final audit for the budget that is still off budget it is not within,” the NPA Boss said. Muvawala said that although the funds are audited by the Office of the Auditor General, they work towards distorting the budgeting process of the country. “When you look at the policy statement format, it doesn’t allow you report any resources outside the one approved, out policy statement wasn’t balancing at all because it was bringing in things that couldn’t conform with the budget,” Muvawala said. However, Muvawala’s revelation left the MPs divided with some wondering how this could happen behind Parliament’s back to which the Committee resolved to look into the matter. In the 2019/2020 budget, the Authority has been allocated Shs11.164b, an allocation that has left the National Planning Authority grappling with four unfunded priorities to a tune of Shs16.045b. The unfunded priorities lie in areas of feasibility studies, funding the new Authority Board members to a tune of Shs2.098b, carrying out Africa Peer Review Mechanisms Unit as well as the Shs2.564b needed for the Science, Technology and Innovation. The budget shortfall comes at a time when the Authority is battling with limited office space to accommodate staff, inadequate funding to fully support the implementation of the NPA strategic plan as well as emerging demand from stakeholders’ expectations which are beyond the current capacity of the Authority which they say has left NPA’s budget and human resource capacity outstretched.